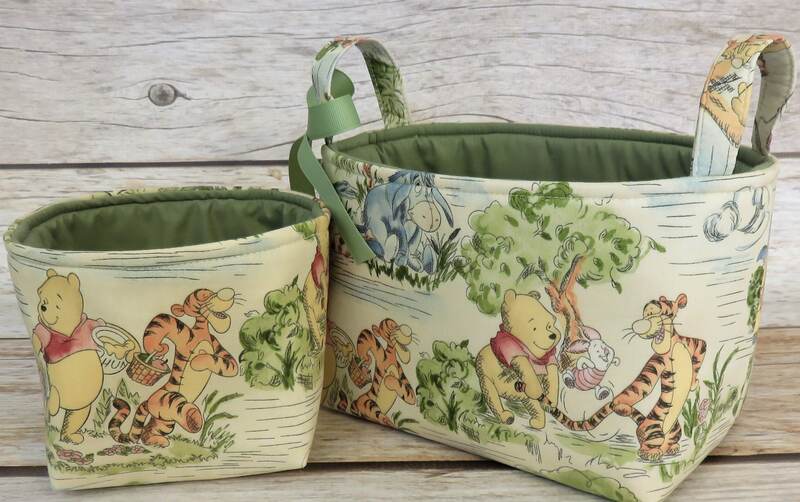 ● Winnie the Pooh Eeyore and Tigger in the Park Toile Fabric for the outside. ● Cotton fabric for the inside/lining. Note your color choice at checkout. These are wonderful. Received them just as promised for my dsyghter’s shower. Quality is awesome!!!! !